I just want to clarify where/how I should post the review for each week (of the 4 weeks we have to review). Is it best to do it as a new post or as a comment on the initial activity post by the group? (hope this makes sense) I wanted to post a review for the Cloud Based App group but want to make sure I do it to the correct place so they can see it. 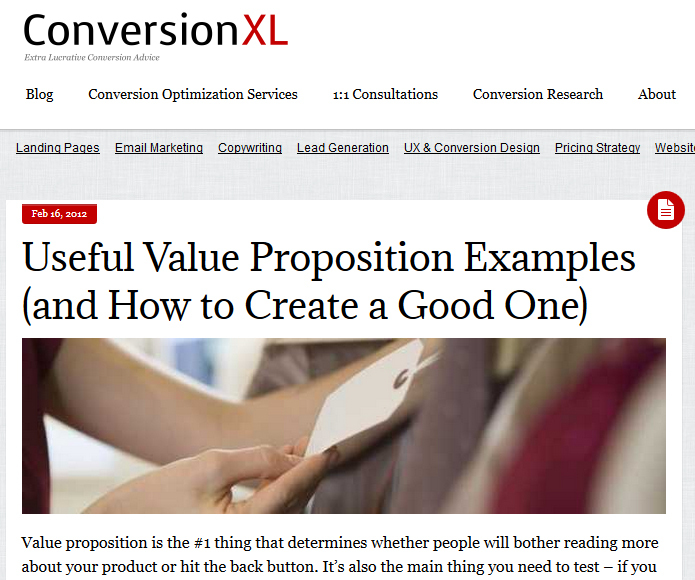 I just stumbled upon an interesting article on Forbes.com about building a compelling value proposition. 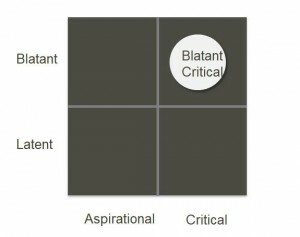 It has a chart about how to best position value propositions in relation to being blatant vs latent or aspirational vs critical. I thought it might be a useful consideration for our upcoming A3 Venture pitch assignment. According to the latest research from Strategy Analytics, wireless technologies will play a pivotal role in the emerging wearable devices market. In 2015 Smartglass shipments will see Wi-Fi penetration of 79%. Devices from major brands such as Google and Samsung will be key to driving wearables growth for the next five years. Verbling began as the Chatroulette, or a speed-dating version of language learning. At one point it was hailed as the best free software you’ve never heard of, and one of 150 brilliant new things you must try online. 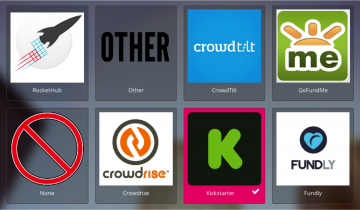 It competes with ventures such as Livemocha, Voxy, PlaySay, Duolingo, and Busuu. This venture continues to use video chat to connect language learners with live native speakers – basically virtual language immersion. The venture began as a site that paired people up according to language and experience level. For example, a Spanish speaker wanting to learn English will be randomly paired with an English speaker learning Spanish, and they would take turns exchanging in conversation. The venture has since expanded into live tutoring services, and classes delivered through video chat. It appears the emphasis of the site has since transitioned to selling subscriptions for the online classes and tutoring services. 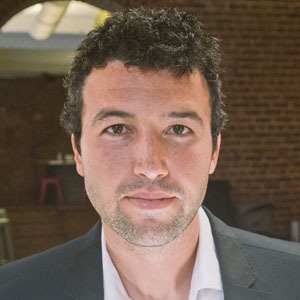 Jake Jolis founded Verbling in 2011 with two fellow Stanford classmates. Cofounder Mikael Bernstein realized that his Russian improved when studying abroad and speaking it every day. Then, like many others learning a new language, finding language partners back home proved to be a struggle, which led to the idea to use the Internet to connect language learners with one another. 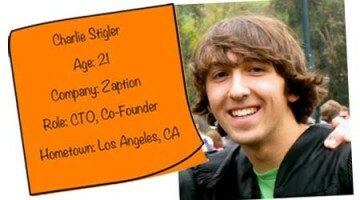 Jolis subsequently dropped out of Stanford after his sophomore year to build Verbling when Y Combinator funded the startup. He raised his first round of funding at age 20, and his second at 22. Jolis also sits on the advisory board of GuestDo. Jolis speaks Swedish, French and Spanish. I think in its original form, this was a brilliant idea, and an attractive investment opportunity for a venture capitalist seeking large returns. It had the potential to get users talking and engaging enough to actually make progress with language attainment, because it was easy, spontaneous, non-threatening and fun. The new iteration, focusing on online classes and tutoring, fails to set itself apart from the myriad other virtual language learning ventures out there. In fact I was not able to locate the Chatroulette feature, which was was the unique aspect of the venture. This has apparently become an afterthought or is no longer an option. The multi billion dollar language learning market will be disrupted by the solution that solves the problem of engagement. Educators understand the importance of engagement and immersion. I have personally tried many language learning solutions including Rosettastone software, university classes etc., but I found that the most beneficial has been one-on-one, or small group engagement with fluent speakers. I believe the venture that somehow captures this engagement problem in a fun, easy, spontaneous and unobtrusive way will gain the critical mass required to succeed and own the market. 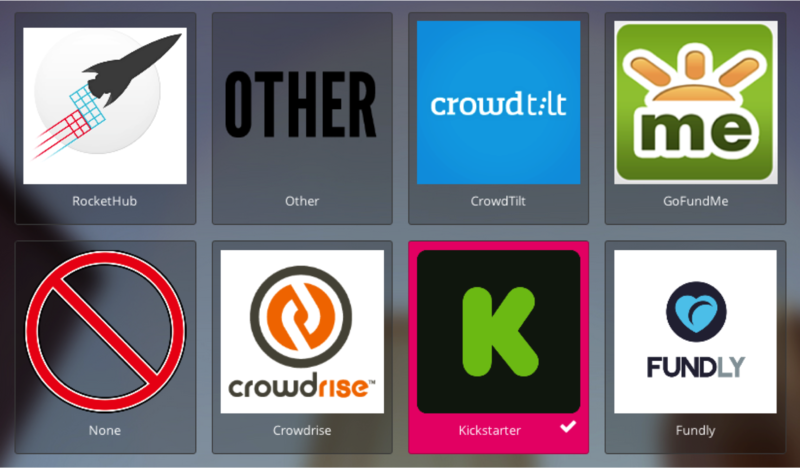 I recently supported a startup – big money $30 🙂 – on Indiegogo and in their follow-up survey they listed other fundraising sites. I thought this list might help people get ideas for their assignments. 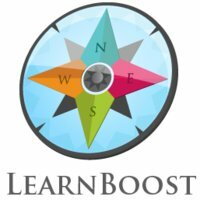 LearnBoost is a free all in one program for classrooms. It provides teachers with a variety of apps to manage their classroom more efficiently. The features include, grade book, attendance, lesson planning, reporting, parent and student access, dynamic seating, flexible scheduling, integrated calendars, multilingual and quick paced. It is meant to be the all in one device for classroom management and organization. This app can be paired with Google Apps for education to make sharing more seem less. This app is geared for teachers although it can be used by parents and students as well. It is a well rounded classroom management device to aid with organization. The seed for the company was at $975,000. 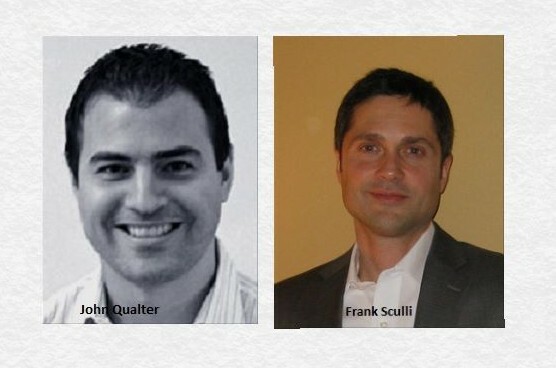 LearnBoost was founded by three individuals, Rafael Corrales, Guillermo Rauch and Thianh Lu. Although only Rafeal Corrales continues to be the CEO of the company, so I have chosen to focus on him. 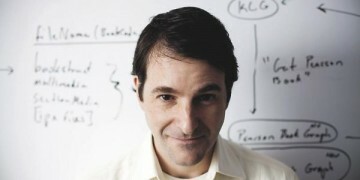 Mr. Corrales attended Harvard school of Business as well as Georgia Institute of Technology. He co-founded LearnBoost but is also an investor in Charles River Ventures, Pebble and an advisor for many other companies such as Mind Snacks. LearnBoost was named one of the best start-ups of 2010. He is continually looking for new ventures and ways to support other entrepreneurs. He is an avid blogger and states his views on education and prides himself on being a start up entrepreneur. He lives in the San Francisco Bay area. Schoology is a online learning management system/course management system that was founded in 2009. It was originally designed as a platform to share notes for University students, however it quickly transformed into a social network for K-12 students as well as students of higher learning. Their goal is to engage students in a different platform of learning and to give teachers/educators the resources to be able to do so. Some of the services that are provided include: attendance records, online gradebook, tests, quizzes, and homework dropboxes. In addition to the organization aspect of the site, it also provides areas for discussions among a specific class, smaller groups, or an entire school. There are also enhancements that can be purchased, like text messaging notifcations. All three founders attended Washington University in St. Louis. 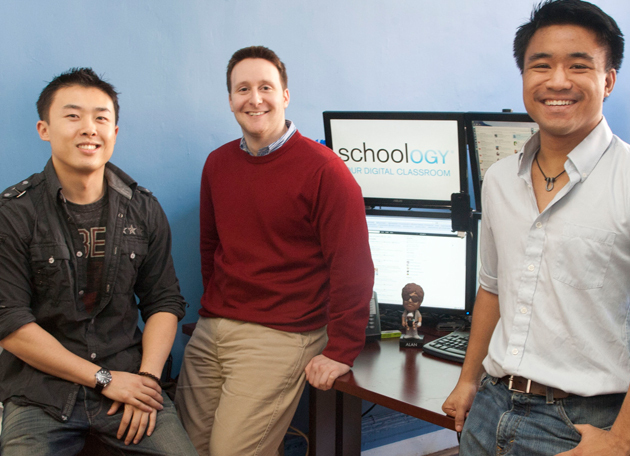 Schoology was designed while the three of them were still undergraduate students. 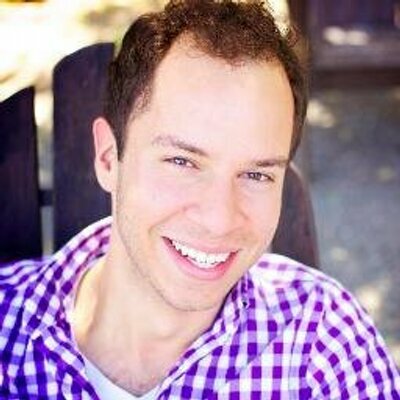 Jeremy Friedman – Obtained a degree in Arts with a focus on Economics and Computer Science. Had held previous summer jobs as an analyst intern. Ryan Hwang – is a web designer who leads product design, corporate identity and partakes in coding. Obtained a degree in Business with a focus on marketing and international business. Tim Trinidad – Obtained a degree in Science with a focus on computer science and entrepreneurship. Having used this product in a test run for a previous course, I was impressed with the functionality of the website and the dual purpose in creating both private communities to use with school related staff and students or in the public communities of practice. I think it makes an excellent use of fostering discussions in a non face to face environment As the site is very similar to Facebook in its design it was easy to navigate and keep threads and course products categorized and organized. Another function that I liked with this LMS system is that it also provides learning analytics to its users. I believe this venture is an example of how taking a small idea like sharing notes can be transferred into something bigger. It is difficult to assess how valuable an idea can be until you start working on it and can see where it can take you. Code & Hustle is an East Coast Image Software Company that focuses on creating tools for professional photographers and blog creators. C&H offers three different primary products. The first product is called “Storyboard” which provides an easy to use script for Adobe Photoshop that makes laying out images on blogs with a simple one click. The second primary product is called “Batch+” which allows users to save images tweaks in Photoshop as preset to apply to a group of images instead of one image at a time. The third primary product offered by C&H is called “Facebook Photo Optimizer” where a single script that runs in Photoshop will resize large image files to the perfect size for Facebook and also sharpen the picture all with one click. Founder, Sean McGrath started the venture in 2010 with business partner David MacVicar. Originally from New Brunswick, Canada, Sean is an experienced software and web developer who has worked with such clients as CBC, NBC, Sympatico/MSN, and Cisco. McGrath currently runs his own wedding and portrait business along with a strong background and interest in custom WordPress installations, mobile apps, and social media integration. The other member of the Code & Hustle team is Customer Service Sales Manager David MacVicar from Nova Scotia Canada. One of C&H’s most talked about quality beside the products themselves is their level of customer support that is provided at all levels of ownership of the product. In my own personal refection, I have the opportunity to know both members of the Code & Hustle team and know that this venture has been immensely successful with revenue, development of new products and most importantly growth. C&H has reached blog users and photographer from all around the world and have recently returned from a promotion trip in Japan. Just wondering where we should post related to this week’s suggestion. “The web has so many examples that you should look for yourself – and if you find something of special interest please share it in the blog: we appreciate participation and collaborative knowledge construction in this course.” The MaRS Discovery District has resources I’d like to share. AspirEDU is a company that specializes in helping institutions of higher learning maintain revenue, decrease inefficiencies, and avoid accreditation challenges by improving student satisfaction and retention rates. Its Dropout Detective™ student retention software helps by bringing in a student’s relevant course data into one easy-to-use visual representation of the entire student body across all courses in which a student is currently enrolled. The software as a service (SaaS) platform, means that you have access to a cloud hosted solution anywhere, anytime and integrates with the existing learning management system (LMS). Student performance metrics are retrieved from the LMS through an automated API connection. The software then evaluates this data and calculates a “risk index score” for each student. The results are presented in an easy-to-use dashboard for administrators and staff. The real-time feedback on student performance means that administrators can pro-actively manage student retention by alerting them to behaviors and patterns that lead to high student attrition. Using this business intelligence solution administrators can work in a targeted and efficient manner to support the students that need the most help. Unlike other solutions, Dropout Detective aggregates the institution’s existing data into one easy-to-use visual representation of the entire student body across all courses in which a student is currently enrolled. Kimberley Munzo has over been involved in e-learning and higher education for over ten years. Dropout Detective™, was developed by her when she found that she was spending over half her day working on student retention. When she went searching for a software tool to help identify and manage at risk students there wasn’t one. It started off as a checklist on a piece of paper, migrated to an Excel spreadsheet, and has evolved into a software program in use by colleges and high schools that offer online programs. EVP of Sales with 12 years experience working with Fortune 500 companies. COO who has contributed to the development of several startup companies over the last decade. software knowledge and experience with his love of education. Even though I have no business experience, I have experience managing a classroom, and in various administrative responsibilities for community and non-profit organizations. There are times where I enjoy leading, but most of the time I am more comfortable acting in an advisory role. I know that under the right situation I could succeed as an entrepreneur, but I would need to be tremendously passionate about the project, put countless, thankless hours into it and surround myself with smart individuals with the same values, and who compliment my weaknesses. Founded by David Martin and Nancy Knowlton in 1987. Originally, the company was the Canadian distributor for a U.S. projector company, and revenue was generated through projector sales. That revenue was directed toward the research and development of the SMART Board interactive whiteboard, which would combine the simplicity of a whiteboard with the power of a computer. The SMART Board interactive whiteboard was the first interactive whiteboard to provide touch control of computer applications and the ability to write over standard Microsoft Windows applications. Connected to an LCD panel and a computer, the SMART Board interactive whiteboard brought interactive technology to classrooms, meeting rooms and boardrooms. Three patents were granted by the U.S. Patent and Trademark Office in recognition of this innovation. Today there are more that 2 million Smartboards installed around the world. In the early years, Smart Technologies struggled to financially until they gained a strategic partnership with the Intel Corporation. That relationship with Intel was one of the key building blocks in SMART’s history. The equity investment helped SMART’s hardware and software development activities. Perhaps, just as importantly, SMART staff felt something akin to a “seal of approval” for all of the pioneering efforts they had undertaken with the SMART Board interactive whiteboard and in trying to improve the way people work and learn. Over a 25 year period, the company has grown from a two-person start-up to a global company with annual revenues just under $800 million. David Martin and Nancy Knowlton are a husband and wife team. Nancy has an undergraduate in business administration, she qualified as a charter accountant and she did an entrepreneurially oriented M.B.A. David was an entrepreneur prior to Smart Technologies as he already started up a few business, none of which were quite a successful. 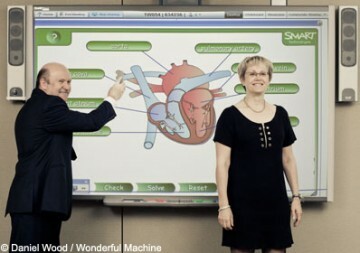 Upon the creation of the Interactive White Board Davud and Nancy insured their intellectual properties rights by receiving three patents for the hardware platform. David and Nancy have since left Smart Technologies and have started a new venture Byye Labs: http://www.byyelabs.com/home.html. Even though they have left Smart Technologies if in good hand as you can read in the executive bios: http://investor.smarttech.com/management.cfm. Smart Technologies interests me for a couple reasons: use and location. I have always been a proponent of use of interactive whiteboards in classrooms and have expanded see the benefit of the use in business meetings. I currently reside in Calgary, Alberta and the corporate headquarters are located here on the University of Calgary campus. I have toured the headquarters a couple times and know a few people who work for Smart Technologies. A1 Extension please for early groups? Hi David V. and David P.
This might be a silly question, but would it be possible for groups presenting their A2 and A1 practically at the same time to have a one week extension on A1? With both being 25% of our grade each, it perhaps puts a bit of an unfair crunch on the groups that go first. It’s just a thought and I might be completely out-to-lunch on this, but I’ve never had two assignments of equal weight due almost on top of each other in the same class. These assignments are a major learning curve…particularly for those enrolled in more than one class. 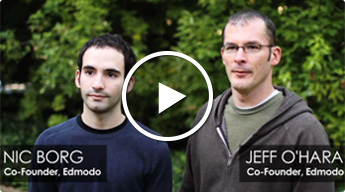 Nic Borg and Jeff O’Hara founded Edmodo in 2008 in San Mateo, California. They are an example of intrapreneurs. Both worked within school districts as IT specialists and felt a need to disrupt the system and allow teachers and students to remain connected while in school while many schools and districts elsewhere were limiting these connections. The key executives of Edmodo have significant experience as senior management of different education ventures and therefore Edmodo is under solid leadership moving forward. The development team behind Edmodo are all or were once teachers. This is a key for Edmodo to connect to educators. Anyone who is part of the Edmodo team is able to answer questions from educators as many if not all have been in the classroom. This is important for the development of Edmodo as a viable product that will enhance learning from a teacher’s perspective. Edmodo is Learning Management System (LMS) that connects students and teachers in a safe environment. It is designed to be familiar to students as the platform is very similar to Facebook and therefore is easy to use for both students and teachers. Edmodo allows teachers to share and post documents, connect to other educators, host class discussions, reward students with badges as well as allowing students to use different apps for learning. It is meant to engage students in an online learning environment. 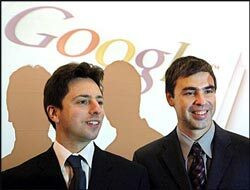 Founded by Larry Page and Sergey Brin, Ph.D students from Stanford university. Larry Page is the cofounder of Google and the inventor of PageRank, the foundation of Google’s search ranking algorithm. Sergey Brin, originally from Russia, is the cofounder of Google and inventor of a data mining system that, combined with Pages’ algorithm created a powerful search engine. They co-authored “The Anatomy of a Large-Scale Hypertextual Web Search Engine” together and built their first search engine that would bring all of the world’s knowledge together. They put their studies on hold to start Google out of a rented garage. Google was incorporated in September of 1998 and is now an American multinational corporation that has experienced rapid growth. Brin and Page have been named as one of the top 100 innovators under the age of 35 by MIT Technology Review TR100 and given Honorary MBA’s from IE Business School for embodying the spirit of entrepreneurship. There products, to name a few , include their search engine, cloud computing, software, email, office suite Google Drive, social networking Google +,Operating system Chrome OS, their netbook Chromebook, communications software, and augmented reality technology Google Glass. Google’s search engine is a starting point for students. With increasing usage of their office suite, Google Drive, and the growing popularity of Chomebooks in schools, not to mentions Google Apps for Education, Google is poised to revolutionize K-12 education in a way we have been expecting since the invention of the internet. It is amazing what two great minds and a vision can accomplish. I believe these two embody the term ‘innovator’. Page and Brin’s talents and combination of inventor and entrepreneur, continue to find new horizons and investors willing to explore with them. Their team continues to push the limits and look for new areas to expand into. With over 40,000 in staff, or ‘Googlers’ as they like to call them, they are inspiring new and creative ways to push the boundaries of technology. Founded in 2005 by Krishnan and Meena Ganesh, TutorVista is a popular online tutoring company. Based out of India, the company employs over 2000 tutors and reaches a market of over 20,000 students globally. Specializing in math and science, TutorVisa allows personalized learning, available at any time. The company also offers learning programs for students who are home-schooled. Widely described as a serial entrepreneur, Ganesh created and successfully exited four companies before founding Tutor Vista. TutorVista was acquired by Person Education last year, for over $130 million. Ganesh holds a Mechanical Engineering degree from Delhi University and a post graduate degree from the Indian Institute of Management. He has been recognized as one of India’s “Ionic Entrepreneurs” and was nominated as the 2012 Economic Times Entrepreneur. Ganesh is chair of several innovation technology boards in India and is a popular speaker on the topic of successful tech startups. In my opinion, one of the traits that set Mr. Ganesh apart from other entrepreneurs, is his ability to walk away from his businesses once they are successful. Mr. Ganesh retrained his title of CEO of TutorVista until Pearson completed their full acquisition over several years. Once that transition was completed, both Mr and Mrs Ganesh stepped away from the company entirely. Mr. Ganesh has refocused his efforts on a new enterprise. Founder and Managing Director of GeoGebra markus@geogebra.org Johannes Kepler University Linz, Austria This is what Markus says about GeoGebra: [youtube]https://www.youtube.com/watch?v=w7lgMx8-1c0[/youtube] Award winning Geogebra (GG) is a free (not for commercial use) and open-source dynamic multi-platform software used for STEM learning and teaching for all levels of math and science education. GG provides interactive geometry, algebra, statistics, and calculus opportunities that come with thousands of free materials. GG provides authoring tool to create interactive learning materials and comes as a widget in Wiki spaces classroom to make learning social, fun and easy contributing to “critical mass of learning power”. Markus has an interesting background that contributed greatly to GeoGebra being what it is today. Please view his extensive CV here. 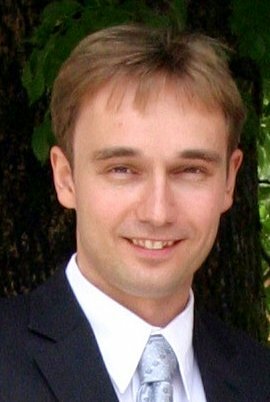 He is professor at Linz University who holds Master degrees in Applied Computer Science and Math Education as well as a Ph.D in Math Education along with high school teaching qualifications in Computer Science. These experiences together in education, math, and programming along were a solid foundation that equipped this entrepreneur for starting and executing a project of this scope. He was able to recognize and address an obvious need among math learners. The project was started while Markus was at the University of Salzburg, and then continued at Florida Atlantic University, Florida State University and University of Linz. However, the project of this scope wouldn’t be possible without a fruitful Kickstarter campaign for IPad and Android (see here) , additional grants and the help of people from all over the world who were working and continue to develop GG’s open-source code and translators who made the product available in many languages. What makes this project unique is that is a product of global collaboration and cooperation, and quite creative in its essence. We can see that 21st century learning skills are well integrated within the project itself (visit GeoGebra’s blogs, community, and OERs to attest to this) which enabled the venture to flourish. Markus was and is a visionary that started something of value for all and by all. Cumulative human capital is its greatest resource. He laid the foundations for a huge GG global community that continues to grow. The International GG Institute (IGI) has more than 140 global user groups across universities and non-profit organization. This is a place where teachers, students, software developers, and researchers come together to better GG. The local user groups support students and teachers in their region by sharing materials via GeoGebraTube, organize workshops, and work on GG. These IHI provide certifications as well. Also GeoGebra continues to be fresh and grow with the pace of technology. Therefore, today we could see that GeoGebra can be used on an Ipad, an Android, and a Windows Store app with many new features. GG Team is compromised of experts in the world of academia/research, software development, and operations and finance, advisors, community support, translator, etc. All team members have extensive cumulative experience and credentials in their respective fields. Please view the list. For example, the research director, Lavitza Zolta from Cambridge University, extensively contributed in publishing peer-reviewed research on GeoGebra in Math education and professional development of math teachers. Personal Reflections I find this project rather inspiring given that my academic background is in Applied Mathematics (a few years of Computer Science too) and Math Education. I am a math teacher who strongly believes in “automatization” of math in the classroom if we are to foster 21st century skills and engage learners in a meaningful way where math comes to life. What I’ve learned from Markus, is that I could harness all the skills I have so far to better the field I work in. I see that the world of academia could be fertile grounds for projects/visions of this scope and I particularly like open-to-all-rather-inclusive-project both on the user and production end. The vision needs to be clear and farsighted. The initial idea could be rather “simple” that addresses an obvious need/problem backed by research, but over time it can grow. This can be accomplished through continual effort and dedication by “experts” in various fields through all the stages in the development and with a joint venture in mind. However, I recognize that for a venture to become a joint one, one needs not just a great idea but a great model in place. For people to contribute, they must feel that they are contributing to something great. I also appreciate that Markus recognized that the greatest capital for any venture is the human capital! I also like the open concept of this venture because it allowed the fire to spread on globally and relatively quickly. But for the fire to spread, one needs a balanced combination of real “gems/stones” (great ideas, platform) and oxygen (favourable environment). Just writing this prompted me to think of one specific need I’ve noticed over time among my math learners that could be addressed in a meaningful way. It is a start! . David Blake. Used under Canada’s Fair Dealing Guidelines. David Blake is the founder of Degreed, a platform that allows students to earn and digitally display accreditation. He was the founding product manager at Zinch, a social networking site geared specifically to college student, which was acquired by Chegg. He is also a Stanford dSchool EdTech Entrepreneur.He has a Bachelors degree in Economics from BYU. Degreed provides a platform for learners to publicly track their academic, professional and lifelong learning. Degreed is unique from other badge platforms because it allows users to display badges, but also degrees from institutions (including their transcript), events attended, what media they are consuming and their future goals. In a Huffington Post blog David likens educational institutions to real estate agents. He proposes that online realty platforms were not successful in moving customers away from real estate agents the way Expedia was successful in moving customers away from travel agents due to the high personal impact of failure to sell a home. His suggestion is that students and employers are moving away from their traditional agents to gain and express learning. The founding team includes Eric Sharpe, Director of Software Dev at MediConnect Global, recently acquired by Verisk, an analytics company for businesses. Sharpe has in MBA from BYU. 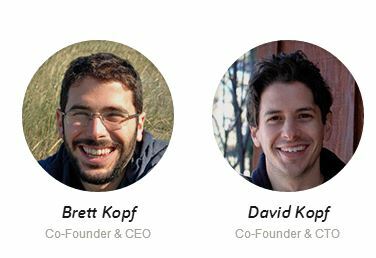 This is not a first venture for either David or Eric and they have already been successful in being granted the Kaplan EdTech Accelerator funds in 2013 allowing them to grow their team from 6 members to 10. This also allowed them to hire a COO, Chris McCarthy from Chegg, a textbook rental company. It is obvious that BYU and Chegg have had a large influence in the leadership team at Degreed. The exposure to the college demographic through Chegg and Zinch likely give David interesting insight into the venture opportunities in the college demographic. Degreed has also had a surprisingly warm welcome from issuing institutions of traditional degrees, who are partnering with Degreed. Nearpod is an application desinged for teachers inside of a BYOD classroom. It allows all devices (Apple, Android, etc..) to connect to a teacher controlled content application. This teacher controlled application allows teachers to control what the students are being exposed to on their BYOD devices without allowing them to use other applications. When a student is doing other things on there phone it informs the teacher. It also has the ability for teachers to embedd youtube videos, interactive questions and share student results to all the devices. According to his LinkedIn profile, Guido Kovalskys co-founded Nearpod with others in 2011. 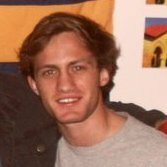 He is originally from South America and completed his MBA at Berkley. After graduating he worked as a consultant for 7 years before getting his feet wet with entrepreneurship. Guido has started 5 ventures in the last 15 years that have included a broad spectrum of areas. After using this product, I am sure that this venture is going to be a hit amongst all the teachers who are pro BYOD. This venture’s application allows teachers to control their classroom in a way that is currently not offered by any other service. I honestly do not think, at the moment, there is anyone competing in this space. I would certainly invest in this product. Khan Academy is a non-profit organization that provides high-quality free online education. It consists of a library of thousands of educational resources available to anyone with a computer and access to the internet. The resources include interactive activities, assessments and short YouTube tutorials on topics ranging from Math and Science to Economics and History and even Computer Science. The Academy employs an adaptive assessment environment allowing self-pace learning. To date the Academy has delivered more than 300 million lessons and has over 10 million users per month. Founder, Sal Khan, started the venture after noticing that his math tutorials on YouTube intended for his cousins were gaining popularity by other internet users. He then decided to quit his job as a manager of a hedge fund and dedicate himself full-time to creating tutorials, making high-quality education accessible to anyone anywhere and provide an alternative to traditional classrooms where students could learn at their own pace. Sal holds three degrees from MIT (one in Mathematics, and two in Computer Science) and an MBA from Harvard. In addition to his skillset, he has a well-rounded pool of talent in his staff who bring expertise in computer science, finance, education and design with experience working for prominent companies such as Google and McKinsey & Company, government sectors and the non-profit world. Sal is an innovator. 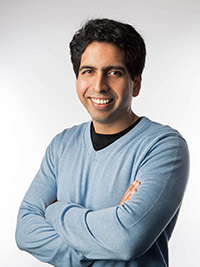 He conceived the original idea of Khan Academy and brought it to fruition by successfully leveraging his talent in delivering simple, yet engaging video tutorials, recruiting the right pool of talent to grow the venture, and gain support and financial backing from major organizations such as the Bill & Melinda Gates Foundation. Recently, Google awarded two million dollars to the Academy to create new courses and translate them into the world’s main languages. From my analysis of Khan Academy, I have learned that having the right individuals to support your venture, who are passionate about your idea regardless of the risks involved, is important in order for your venture to succeed. From studying the profiles of Sal’s team, it is apparent that many had left their jobs in leading tech companies and consulting firms to join Khan Academy. Massimo Banzi is the co-founder of the Arduino project along with David Cuartielles, Tom Igoe, Gianluca Martino, and David A. Mellis. 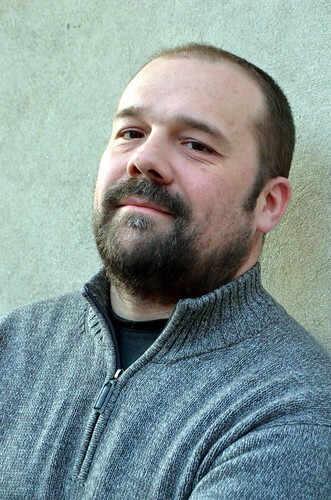 In 2005, Banzi and his team created the Arduino microcontroller to serve the needs of Banzi’s students at the Interaction Design Institute of Ivrea. The students were looking for a cheap microcontroller that could be used to program their projects and at the time the cheapest micro controller on the market sold for around $100. Arduino was created to be open source and available to designers and artists with little to no engineering background. Banzi is an advocate for open source hardware, as well as an interaction designer, and an educator. Prior to creating the Arduino microcontroller, Banzi worked as a consultant for major clients including Prada, Artemide, Persol, Whirlpool, V&A Museum and Adidas. He also worked as a software architect for clients such as Italia Online, Sapient, Labour Party, BT, MCI WorldCom, SmithKlineBeecham, Storagetek, BSkyB and boo.com. Arduino is an “open source electronic prototyping platform”. As an open source hardware, Arduino is compatible with Windows, Linux, and Mac as well as other electronics currently on the market. It is also backwards compatible to previous versions of Arduino. Banzi recognizes that Arduino is not the only microcontroller on the market and speaks highly of his competitors while pointing out the differences in intended users. Banzi recognizes that the Arduino user has morphed from a design student to the hobbyist, artist, and designer. The possibilities are limitless with current uses as varied as a device that sends tweets when houseplants need water, to an exhibit on brains at the American Museum of Natural History in New York. In an Ars Technica interview Banzi estimated that 80% of the projects at the Maker Faire used Arduinos in some way. David Cuartielles, a co-founder of Arduino, works for Medea research platform, is writing his PhD in prototyping tools for education, is supervising the Arduino web-structure, and is teaching university classes. Tom Igoe is a professor at NYU with a Master’s Degree in Interactive Telecommunication. He is a core partner in Arduino and he is responsible for the direction of the project. He manages the documentation and examples for the project as well as managing the relations between Arduino and the companies that license the brand. Gianluca Martino oversees production and distribution for Arduino and is focussed on the emerging markets of China, India, and South America. David Mellis is the lead software developer of Arduino. Mellis is a graduate student at MIT with the High-Low Tech group. Arduino is a product that was intended for a small audience of design students but found its niche with a much larger audience that continues to grow. The brand has not spread through traditional means, it spread quickly online without any money spent on marketing or advertising. The success of the brand has to do with the variety of applications as well as the relatively quick learning curve. The rise of the mentality of creating for the sake of creating and the Makers Faire community has helped spread the concept of the Arduino and the reasonable price has meant that a variety of people have experimented and played with it. 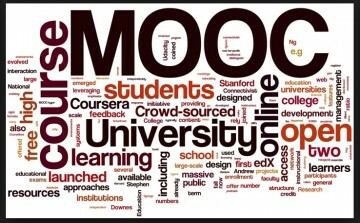 Moodle is a free online learning platform (Learning Management System), based in Perth, Australia. It has a free source license and is used in many high school as well as post-secondary online programs. Some of its features include assignment dropbox, gradebook, discussion forum, online quiz/test, Upload/Download of files. It also has a variety of plug-in’s available which adds more elaborate functions to the platform. One of the best features of Moodle is its Moodle Community – which consists of over a million users who interact with each other to provide support. Martin Dougiamas was born in 1969. He is a computer scientist and an educator. His has experiences as the webmaster of an university, as well as the manager of a WebCT system. He was frustrated with the learning systems available to him, and started Moodle in 1999. Martin Dougiamas is passionate about Moodle. This is very inspirational because an entrepreneur must be passionate about the product that he/she is developing. Moodle provides a ‘shell’ for a platform, and allows the users to modify it according to his/her needs. This is a great example of a product that is appealing to customers because of its versatilit. As an entrepreneurs, I need to have a vision for my company. My management team must be able to share the same vision, and also be equipped with the concrete skills and abilities needed to reach our common goal. Flipboard is an incredibly intuitive application for mobile devices, which advertises itself as the first “social” magazine. The application was conceived by co-founders Evan Doll and Mike Mccue (now CEO of Flipboard Inc.), as an application that allows people to share, tag and assemble their own collections of stories found online. Flipboard utilizes a variety of social networks and allows its users to aggregate their resources into content displayed as a digital magazine. 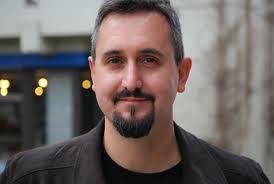 Mike Mccue has a wealth of experience in the realm of mobile technologies both on the management and development side. 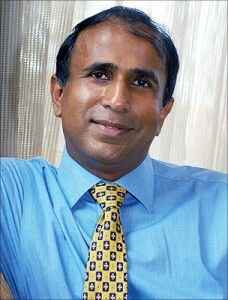 His previous experience as the CEO of Tellme Networks (a Microsoft subsidiary) attests to his competency as a leader and his experience as the developer and founder of Paper Software, a company that pioneered 3-D browser technology and later bought-out by Netscape demonstrates his technical expertise. Evan Doll, a former iPhone Engineer for Apple and lecturer at Standford University, heads up the product development and strategy side of the operations. Between these two individuals, it is clear that Flipboard has a competent leadership team with vast amounts of valuable experience, both in terms of the business and product development. At the turn of last year, Flipboard announced that they had reached the 100 million user mark. This news was quickly followed the company boasted the raising of another $50 million in their financing bid, raising their valuation to $800 million, a figure supported by Goldman Sachs amongst other venture analysts.What Flipboard’s success indicates is that a co-founder model, in which a business specialist teams up with a technical specialist can work exceedingly well, but the caveat being that both individuals have an understanding and appreciation for what the other brings to the table. BrainPOP is a group of online websites that produce educational videos for students in grades K-12 (Wikipedia, 2014). The curriculum-based content allows users to access videos, quizzes, games and other resources, in the subjects of: science, social studies, English, math, engineering and tech, health and arts and music (BrainPOP, 2014). This online subscription site is utilized in more than 20% of U.S. schools and is growing internationally (BrainPOP, 2014). 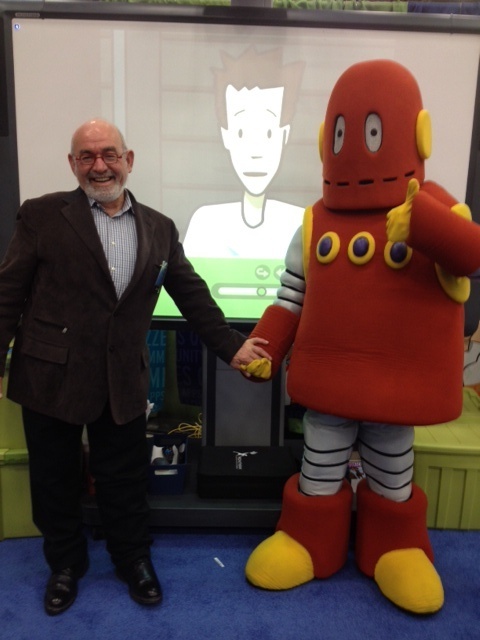 Dr. Avraham Kadar created BrainPOP in 1999 when he was trying to explain the concept of asthma and allergies to his young patients (BrainPOP, 2014). His inspiration came from his late wife, Naomi, who was an educator (The Naomi Foundation). Now, BrainPOP is used to educate children on a variety of topics and carries on the values that Avraham and his wife are passionate about. The Vice Presidents of BrainPOP are the children of Dr. Avraham Kadar (The Naomi Foundation). They all come from a variety of backgrounds and are responsible for different aspects of the company (BrainPOP ESL, operations management) (The Naomi Foundation). There is also an advisor and managing director. I think its inspiring how Kadar’s idea blossomed into a successful business and brand. I find it heart-warming how the family is working together to carry on their family values and Naomi’s passions. I have used BrainPOP and like my students, I love it! BioDigital Systems, co-founded by John Qualter and Frank Sculli in 2002, developed a 3D health visualization body called BioDigital Human,which enables learners to understand the human anatomy in a way that simulates real life accurately. Qualter, a digital image specialist is also a research assistant professor at NYU School of Medicine which puts him at an optimal location to understand the needs of the medical school, while Sculli, a software engineer had previously worked on projects such as Smile, a cleft pallet simulator. In 2012, NYU School of Medicine’s Division of Educational Informatics partnered with BioDigital Systems to adopt the BioDigital Human web-based platform into the anatomy curriculum. The interactive and comprehensive application allows learners to study anatomy, disease and treatment in 3D. The application is free, but it’s special features such as favorites and the ability to see cross sections are subscription based. The BioDigital Human, along side of real cadaverous and ipad textbooks are used as learning tools to enhance the anatomy lab experience. Students are able to see demonstrations of how diseases or injuries that impacted the patient through the virtual 3D body and practice how to perform procedures. With the limit of cadaverous as learning tools, the BioDigital Human allows students limitless opportunities to practice procedures. Most notably, BioDigital raised $4 million led by FirstMark Capital with participation from NYU Venture Fund to expand their work in API functionality and accelerate the development of user features together with their team of scientists, software engineers, physicians and digital artists who are trained specifically in biology. Eva’s Cafe: Innovative Value Propositions, Clashes & Fun exercises? In my undergrad before pitching/critiquing new ideas for product design, we were taught an exercise to sum up the uniqueness or edge of existing designs in one or two sentences. We had to do so while imagining that we were pitching it to a stranger who knew nothing about the product. What is the promise/essence it has over something else? Sometimes, we’d go around in a circle as a group helping each other to refine the idea or definition until it was keen and sharp, then moved on to our own ideas. This helped distill these to see if they were really unique. Oddly, the most innovative or disruptive ideas often “clashed” with the way two concepts are integrated or with how something is or used to be done. We were told to look for and create clashes because they catch attention, go against the grain, and generate interest/curiosity (particularly amongst those who long for change). This is not always a successful strategy, but in an entrepreneurial sense a really fun and creative angle to play with. Sometimes the clashes created by mixing/splicing contentious issues make powerful solutions? 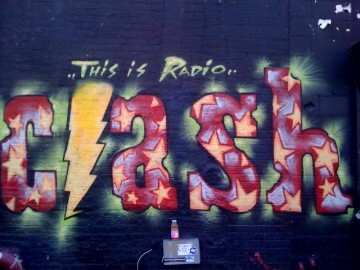 Chris’s example of Codeacademy also illustrates this type of clash. “Coding is for adult/professionals and computer science majors isn’t it? Wait, what? It can be made accessible to everyone? Let’s build that!” (Incidentally, this is also how I see littleBits). As my personal interest lies in the nexus between Education and Gaming, I was drawn to Mind Snacks, a smart startup who blends gameplay elements with learning new languages. Founder and CEO of Mind Snacks. Jesse has attended Syracuse University and has focused worked with digital ad agency Razorfish before being tapped for funding for the Mind Snacks venture. MindSnacks creates learning game applications for iPhone, iPad, and iPod touch. Each app includes a variety of addictive mini-games that teach vocabulary, writing, reading and listening skills to foreign language learners. The currently have apps available for primarily Apple mobile products such as iPhone and iPad. Android and Windows 8 development is on their roadmap for the future. Mind Snack’s games are mainly focused on languages, however, a major push is being made to include mathematics and geography as some of their core offerings. Within 2.5 years of its founding, Mind Snacks has received over 6.5 million (USD) in start-up investment from Sequoia Capital in their latest fund raising cycle. Prior to that it raised 1.2 million (USD) from a variety of smaller funds and angel investors. In 2010, Jesse Pickard and his business partners sough to find a way to turn their Angry Birds and Fruit Ninja addictions into something with greater meaning. Lacking any true options, they launched an educational app that used the addictive mechanics of mobile gaming to teach people those fundamental vocabulary, reading, writing and comprehension skills in their language of choice. One of interesting aspects of Mind Snacks is its attempt to capitalize on addictive and repetitive gameplay to increase learning and retention. This application is an aggressive attempt to bring this about in a very user friendly and engaging format. From the perspective of scholarship, there does not appear to be any study or work presented by the company that attempts to justify or prove their objectives. The CEO has some background in user interface development and is counting on the ‘game experience’ to be the principle draw for the user. With a bit more theory behind their practice, this tool could be very well received by school boards and educational networks who require strong theoretical underpinnings for new products that may be useful for enhancing the educational experience. One interesting aspect of their work is the data that their app collects on ‘how well’ you complete the games. Low scores indicate problems with one aspect of the language while high score demonstrates strengths. This information could be used to by the user to understand where they need to improve and where their natural abilities lie. The company itself is very small at this point which allows its team to collaborate rapidly and effectively in executing its goals. However, this may later become a challenge should they expand as it is always difficult to preserve the informal atmosphere once a considerable amount of new employees make their presence felt. Haiku Learning is a Learning Management System (LMS) that allows teachers to quickly create their learning environment using drag and drop features that allow use of elements from sites such as Flickr, YouTube, TEDTalks, Google Maps, etc. Haiku hosts everything in the cloud, so no technological background is required and it allows for students to collaborate in large or small groups using wikis and personal portfolios. Content can be exported for use on other sites as well, so there is no fear of students not being able to edit their portfolios at a later date for a larger audience. Forums allow for discussions with comments and polls for regular interaction and an internal messaging system ensure safe communication. With Haiku it is easy for teachers to organise their classes and help students, and it is fast for students get the content they need to help them learn best. It offers a free version for teachers to use, and if the teacher needs more classes or students it offers a subscription option for teachers, schools, or districts. Bryan Rafael Falcon was working as a consultant for school districts and from this work he discovered that many districts and teachers were unhappy with the learning management systems available at the time. Through this discovery he developed the Haiku vision and began with the execution of the product. It appears that he then brought on Allen Angell (who has a BA in Communications and Business) to co-found the project with him and work as President of Haiku. As CEO, Bryan is still involved in the company and works directly with innovative educators and companies to transform his product and its associated services. It appears that this is when he realised he could not follow through on his vision alone and decided to involved other people to help him to expand upon the product so that it could reach its full potential. This was a very smart move as it now appears he has a very large and diverse team working with him on Haiku. It still seems he is the one overseeing the entire company as CEO, but he founded the company by involving people who have specific areas of expertise so that they could then be in charge of certain aspects of Haiku. The strong team is what makes this product scalable and sustainable. This product is a good reminder of the need to network with other people who have many skills. In Malcom Gladwell´s terms from The Tipping Point it appears that Bryan Falcon is a Connector and used this to find Mavens and Salespeople that would provide the necessary background and experience to make his vision work. This is a great tip for potential entrepreneurs and something to keep in mind when designing our ventures. The entrepreneur does not need to have all the skills to run the business, and often those who do build a business based around the skill set they have just end up being employees in their own company rather than running the business. Jose Ferreira, Founder and CEO of Knewton.com: founded the interactive-learning company Knewton, he is a graduate of Carleton College with a BA in Philosophy and received his MBA from Harvard Business School and previuos to founding Knewton, was a Kaplan executive, derivatives trader, venture capitalist, and strategist for John Kerry’s presidential campaign. The venture is Knewton.com, an “adaptive learning infrastructure” (Knewton.com) that allows adaptation of various learning applications. A stand out feature of Knewton is its predictive analystics, being able to predict and direct students on what to study or do next in their course, allowing for a student-centered approach offering differentiation for each participant. Knewton has partnered with companies who can then develop adaptive experiences within their own content. Through Jose’s blog postings, he addresses fundamental issues posed by the public and industry when it comes to utilizing educational technologies, for example issues related to privacy, incorporating learning styles, the transformation of higher education and much more. And Mr. Ferreira said the typical venture capitalist’s approach—investing seed money that allows a young company to cobble together a bare-bones product—usually leads to piecemeal improvements that aren’t big enough to attract institutional interest. “Education start-ups have to think big,” said Mr. Ferreira. “I don’t think they can try to produce something that’s incremental, which is a little bit antithetical to the way venture capitalists think.” He added that future investments in emerging companies that have secured early-stage backing might not appear if those firms don’t make enough progress. Knewton received $33 million dollar investment in 2012, at which point it is now being used by higher learning institutions (DeSantis. Para 4), as well as setting lucrative business partnerships with the likes of Pearson, and Microsoft, just to name a few. 7 people sit on the Board of Directors, of which are involved in ventures, finance and the investment world. Jose’s background is really interesting, because in previous founders of ed tech companies we have been searching through, much of the background is in and around teaching, education, and IT development rather than the business and entrepreneurial side like Jose’s. Jose’s understanding for the ed tech market is capitalized in his marketing as well as in his interviews regarding the role of educational technology platforms. I do have to say in that researching various ed tech ventures and platforms, I found the website to lack accessibility in terms of really knowing what services and products are offered, it seemed very high level and thus confused me in terms of who the company is directing its product to (I am assuming high level companies such as those that they partner with ie. Microsoft). 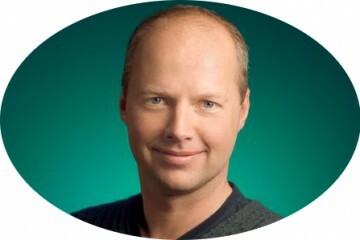 Sebastian Thrun is a research professor at Stanford, a Google Fellow,and a co-founder and CEO of Udacity. Udacity is a platform for massively online open courses (MOOC’s) that was started in 2011. According to Udacity’s website: “Udacity was born out of a Stanford University experiment in which Sebastian Thrun and Peter Norvig offered their ‘Introduction to Artificial Intelligence’ course online to anyone, for free. Over 160,000 students in more than 190 countries enrolled and not much later, Udacity was born. Now <they’re> a growing team of educators and engineers on a mission to change the future of education by bridging the gap between real-world skills, relevant education, and employment.” The value proposition was to offer free education to the masses, thus producing a trained workforce for Udacity’s sponsers. Some courses are actually delivered by advocates of the sponsoring company’s products and those products are used in the course. Up to January 2013, Udacity continued to offer courses for free to anyone with online access to Udacity’s website. But the success rate was poor. Too few people were completing the courses, and among those who completed the pass rate was low. After charging a small fee for courses in the late 2012, Udacity found that offering courses for a fee dramatically increased the completion rate, though not the pass rate among people completing. Thrun and his team concluded that the pass rate depends on getting the right fit between what Udacity is offering and the ability of the candidate student to take full advantage of the opportunity – Thrun decided to refocus on a different market segment. Udacity now offers paid programmes of study in partnership with universities and with sponsership from stakeholders in industry. Students must now pay a substantial fee for a course of study leading to certification. Sebastian Thrun first came to public attention in 2005 when he won a DARPA grand challenge to develop a robotic vehicle that can drive autonomously over a 128 mile course in the Mojave desert – a contest which captured the public imagination. Thrun’s vehicle went further than any of its competitors and won the 2 million USD cash prize. In 2007 he joined Google, where he led the program to develop its self-driving car, and then founded Google X, the research lab behind Google Glass and other research projects. With respect to his motivation for co-founding Udacity, Thrun is credited with saying that after teaching his first MOOC course to some 160,000 people in one go, he found it difficult to go back to spending the same amount of time and effort teaching just 200 people at a time. The Leadership Team at Udacity consists of eight people. Brief profiles of the members of this team as well as that of the Advisory Board can be found at https://www.udacity.com/us. According to the information there, the team members, in aggregate, have substantial prior experience working with successful ventures as well as developing online courses and teaching online. The advisory board consists of seven accomplished individuals providing leadership experience and established professional networks in education, entrepreneurship and venture funding. Upon reflection, I am struck by the need for a founder and CEO to appeal to the diverse interests of the stakeholders in the venture. I imagine that it takes a lot of thought to craft a viable proposition that appeals to all concerned. I am also struck by the value of testing that proposition and pivoting when necessary. Thrun seems to be very tenacious in his drive to make this venture viable and the recent pivot to a new business model is an exciting development. Udacity’s story continues. As an investor I believe many of the startups using free and freemium models aren’t finding the success they thought they’d find so I wanted to explore Duolingo’s model. Duolingo is a dual language learning and text translation service. The company offers language instruction for free by leveraging crowdsourced translation – users create and vote on the best translations – the company offers a free service while generating income by selling the translated webpages. The service is available on the web, iOS and Android in several languages including Spanish, French and German. Apple choose Duolingo as its iPhone App of the Year, a first for an education app. Luis is currently an associate professor at Carnegie Mellon with a PhD in computer science. His thesis focused on Human Computation (crowdsourcing) and his latest company reflects this interest. In between his university work Luis was also a research scientist at Google. He has already had two successful projects, The ESP Game – Google Image Labeler and reCAPTCHA, both acquired by Google so his ability to design, develop and deliver in the entrepreneurial world is well established. Luis has the extensive research, publishing and speaking skills to direct this company. It is unclear if he has the business background and experience to run a company long term or if he will sell and move on, more interested in research, ideas and problem solving than creating and running a business. I do believe Duolingo’s model to monetize the work of their “language-learners” is effective. They have met with success with major investments as well as contracts to sell translations to CNN and BuzzFeed. The CTO is Severin Hacker who recently graduated with a PhD. There is limited information about Severin. He worked with Luis at Carnigie Mellon and developed their idea for Duolingo there. 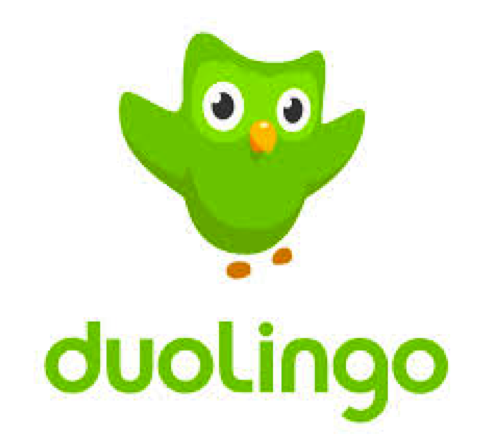 Duolingo’s team is quite extensive including community, design, engineering, finance, language experts and marketing. One would assume having sold two companies previously Luis has the money to properly finance his business idea and build a team to develop the product and move it forward as a business. 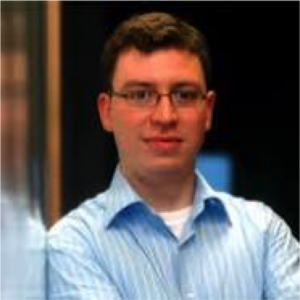 In my opinion Luis Von Ahn is inspiring in the way that Steve Jobs and Mark Zuckerman are inspiring. They are geniuses that have the potential to change the way we live and work through technology. As a “mom & pop” entrepreneur I am more personally inspired by my friends Nora (EBLI) and Ed (Helping Boys Learn). As David Heinemeire Hansson says in his video – a million dollars is still a lot of money. The chances of creating the next Twitter is remote. But success need to be defined by a multi-million dollar buyout or millions in sales. This letter (How to Succeed in EdTech) from the founders of Wikispaces, James Byers and Adam Frey, say it all for me as an entrepreneur. “We define success in ed-tech as building a sustainable company that improves student outcomes, empowers teachers, and increases the reach and efficiency of educational institutions.” In their post they talk about the 10 year process to success. This, I think, is a more realistic approach to the current “startup” mentality . Zach Sims & Ryan Bubinski. Retrieved from http://static4.businessinsider.com. 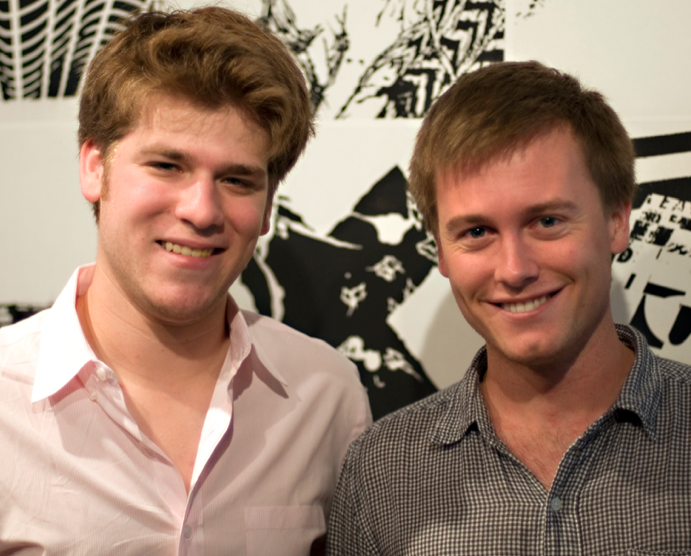 The founders and current CEO/CTO, Zach Sims and Ryan Bubinski, are both former students at Columbia University; Sims dropped out of university and worked in product and business development for startups (including GroupMe and drop.io) and the venture capital industry with AOL Ventures, while Bubinski, who had been building web applications since the age of 15, graduated with a degree in computer science and biophysics. The two originally planned on creating a learning network to connect students with other student teachers, but Sims couldn’t keep up with Babunski in terms of programming. 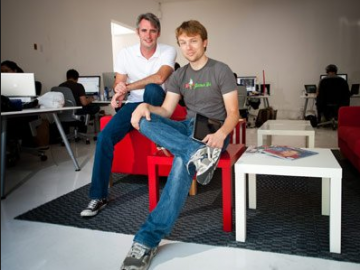 The two then decided to create a resource that, according to Sims, “I would like learning from, and that Ryan would like teaching through.” 5 days after the site went live, it had already gained over 200,000 users, and within one year had raised over $12.5 million in venture capital. The personal qualities that the founders appear to have that have made their venture a success so far are a mix of enthusiasm and expertise; when they started the company, the pair were in their early 20s, but both already had experience in their field – Sims in business development and Bubinski in programming. They identified a pain point in the market (the need for more professional training programs for programmers) and focused on ‘scalability before profitability’ by offering their courses for free in order to build a large user base. Remind 101 is a tool to help teachers text message students and parents. Students and parents sign up through the Remind 101 website and use a free app for IOS or Android. Use of the service is unlimited and does not contain any advertising. Much of the success of the startup is attributed to the simplicity of the service, the fact that it saves teachers time, and its ability to maintain privacy. Communication using this tool is only in one direction; it is designed to send reminders only, not to engage in dialogue with students or parents, and private numbers are kept hidden. The company currently has 25 employees, an advisory board of 75 teachers. It also has a number of investors and sponsors, including Kleiner Perkins Caufield & Byers, who have helped a number of startups find success, including Amazon, Electronic Arts and Twitter. Co-Founder Brett Kopf got the idea while trying to achieve his undergraduate degree. Dyslexia and ADD made staying organized particularly difficult for Brett. Co-Founder and brother David Kopf helped come up with the solution in the form of easy-to-use reminders, tailored for smart phone technology. Both of the Kopf brothers have key skills and the motivation needed to be successful entrepreneurs. Brett’s background is in social media; he owned Social Bonfire and helped develop social media engagement strategies for the Career Services Network at Michigan State University. David’s background as a software and systems engineer with experience at IBM has surely been helpful, but he also attributes the startup’s success to their networking and choosing a good team. In an interview, Brett expressed the importance of being thorough when networking and interviewing; finding the right people is key. The Remind 101 team is comprised of a number of engineers and programmers who have worked for large and successful companies like Microsoft and Adobe. The team includes several marketers and managers, some of whom have their own entrepreneurial experiences. Even though Remind 101 has had success fundraising and claims to have sent over 100 Million messages, it is unclear what direction Brett and David Kopf intend to take the free service. The story of Brett and David Kopf highlights motivation as a key component in being a successful entrepreneur. In this case, having a personal connection to the problem one’s venture intends to solve, has achieved the type of motivation necessary to not only start the venture, but to persevere through the highs and lows in doing so. Steve Paul “Steve” Jobs, was the co-founder, chairman, and iCEO of Apple Inc. and visionary leader in computer and consumer electronics field, who quite successfully articulated interesting, dynamic, and compelling vision that established, saved from bankruptcy and propelled to the sky, the high tech giant Apple Inc., as well as his own computer platform development company NeXT Computer, that set ground for the Mac OS X operating system. Apple Inc., NeXT Computer Inc., Pixar Animation Studios, (in 2006 became part of The Walt Disney Company). In 1976, after Steve Wozniak just invented the Apple I computer, Steve Jobs and Steve Wozniak and Ronald Wayne founded Apple Inc. and started selling the Apple I computer. After that success, the Apple Lisa was launched in 1980 and the Macintosh computer in 1984. 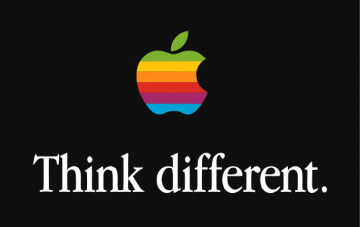 After the power struggle with the Apple Board in 1985, Steve left Apple and founded his own company NeXT Computer Inc. producing the most advanced computers in the world. When Apple realized that Steve is making better computers at NeXT, in 1996 Apple Inc. offered $427 million and bought NeXT, and Steve became de facto a chief in 1997. After the huge market impact of Windows 95, Apple was gradually loosing fight with Microsoft, in 1996 Steve became CEO of the company where he looked for new products, and lead and oversaw the development of the iMac, iTunes, iPod, iPhone, and iPad, and on the services side, the company’s Apple Retail Stores, iTunes Store and the App Store. 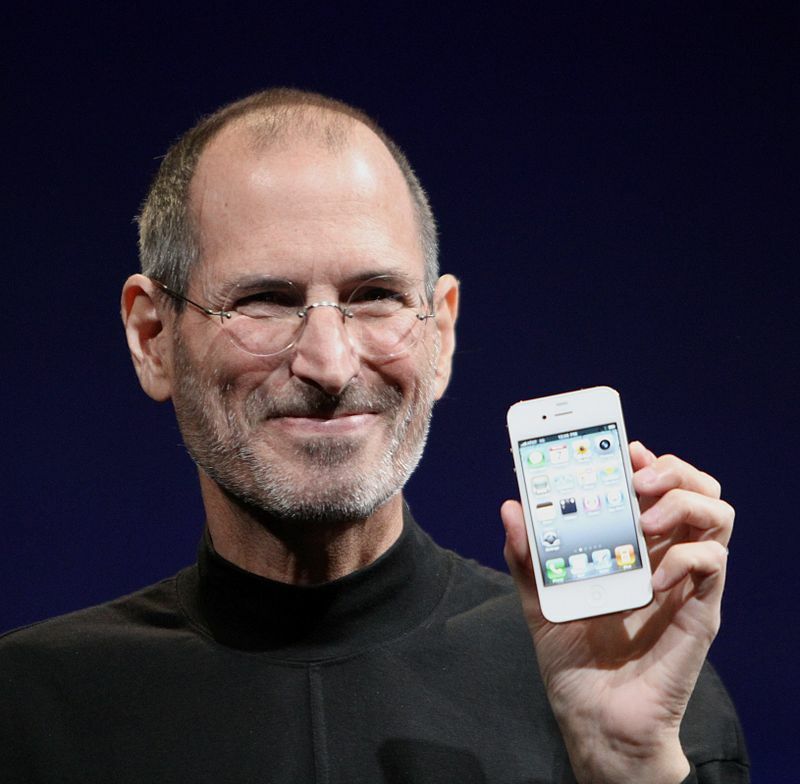 Under Steve’s guidance, the company pioneered a series of revolutionary technologies, including the iPod, iPhone and iPad.The extraordinary success of these products and services, saved Apple from the bankruptcy, and provided several years of stable financial returns, and propelled Apple to become the world’s most valuable publicly traded company in 2011. Steve was born in San Francisco, California on February 24, 1955. He was adopted at birth by the Jobs family, and later moved from San Francisco to Mountain View, California where Steve went to elementary school. His test scores were extraordinary so he was suggested to skip two grades. Then he attended Cupertino Junior High and Homestead High School in Cupertino, California where he met Steve Wozniak, a computer and electronics whiz kid experimenting with computing boards. After high school Steve enrolled at Reed College in Portland, Oregon, where he dropped after 6 months, and continued taking creative classes. That had profound impact on his creativity and visionary mind. Steve was persuasive and charismatic director for Apple, NeXT and Pixar and believed in creativity and importance of quality design. He also preferred owning of songs and videos than music streaming subscription model, and built iTunes on that model. Steve himself holds 43 patents in computer and consumer electronics and entertainment filed. I often ask myself, can the leader do this when things fall apart? I remember back in 1996 and 1997, the revolutionary “Windows 95 attack” that caused Apple sales drop, and 8.3% loss of shares value on the financial markets, so I reasonably expected that Apple will gradually sink as a result of losing competitive edge on the PC market, profit and customers, so at that point it was difficult to believe that some leader is going to be so persisting, compelling, and being able to sell his “salvation and resurrection vision” to the crew of the Apple sinking ship, and actually reverse the “sinking”. That was quite unbelievable, so this extraordinary success is worth every respect, and that is the reason why millions of customers, students, educators and tech enthusiasts, including myself, appreciate the extraordinary vision and achievements of Steve Jobs. When Apple got to a point when it did not make objective financial sense for any employee to continue working there, he as the leader was able to articulate an extraordinary vision that was compelling and challenging enough that made the people stay out of curiosity. constantly persisting on perfecting the products and importance of product design. In Europe, I quite appreciated the Apple’s continuous support of education since 1980’s, the Apple PC early days. The support got even more momentum under Steve’s lead, and the pursuit of his mission and the venture to put a learning computer in the hands of every student, to see Macs, and later iPads, readily available in every school nationwide and worldwide. All those generations of iPods, iPhones and iPads triggered mobile revolution in education by bringing the most important affordances of the Internet as connected world and mobility into the hands of learners worldwide. A few years ago it was difficult to imagine. Even though, many from the computing industry as well as many customers criticized and did not endorse some Apple moves under his directions (near-fanatical control mindset, aggressive and demanding personality, business ruthlessness and creation of closed platform), in general Steve was a great visionary leader, and stays the role model for the 21st century leader, education supporter and venturer. His early death is a big loss for computer and consumer electronics field, education, and society in general. Let the Steve Jobs legacy be our own aspiration to make a difference in the big picture by thinking, and acting, differently in our everyday lives. Thanks Steve for your vision and all those nice products! Steven Paul Jobs. (2014). The Biography.com website. Retrieved from http://www.biography.com/people/steve-jobs-9354805. Canada’s performance in higher education and skills development has been fairly strong for many years. On key measures we are at or near the top of international rankings and our highly skilled people contribute to economic competitiveness, social innovation, and political and community well-being. But there are troubling indications that Canada’s skills and education performance is deteriorating, that not enough is being done to address a range of economic and social problems, and that opportunities and benefits have been poorly distributed across regions and groups. In short, there are signs that we are not doing enough to achieve the high levels of skills excellence and equity we need. Action is needed to sustain and enhance the performance of higher education and skills development in Canada. In this paper, Dan Munro explores two central needs to Canada’s skills problem: excellence, and equity. Excellence means asking the question: is Canada producing graduates with the right skills to sustain and enhance the country’s economic competitiveness and social well-being? And Equity means asking: Are some regions and groups being left behind? Lesson Planet is an American website that catalogues lesson plans and therefore acts as a search engine for teachers. The website is run by a group of educators who rate and catalogue each lesson uploaded by tags that relate to the subjects, skills, grade level, and core/state standards. Teachers, schools and school districts can purchase a membership to website which allows them to quickly search for lesson plans and technology resources that relate to their curriculum. In addition, Lesson planet offers online tutorial videos and live professional development sessions. The website is aimed at creating an easy and effective way for teachers to introduce technology into their classrooms. Hurley’s mother was a teacher and she inspired him to also become an educator in 1985. 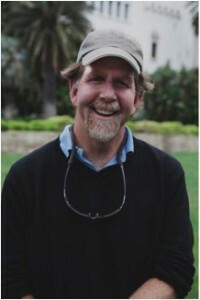 By 1993 Hurley had also obtained a Masters of Education from the university of California, Santa Barbara(Hampton, 2013). Hurley always had an interest in computers and after the web boom he started his company Education Planet that was open to parents, teachers and administrators. After seeing the enthusiasm of teachers on the website he changed the name in 2004 to Lesson Planet and focused mainly on teachers. The company now has 50 employees, 20 of which are teachers and Hurley considers this a “built-in focus group” (Hampton, 2013). It seems like Hurley has a genuine interest in education and helping teachers and wants to work in the technology sector. As an educator, he knows his audience and created a company with a number of skilled teachers working to improve the lives of other teachers. This seems like a good strategic move and makes his organization more credible to teachers, his clients. Though it is difficult to find information about his board and advisors, there are a number of his employees who have master’s degrees in education (Hampton, 2013). For example, Learning Planet’s director of content and learning has 18 years of teaching experience and the company’s director of strategic relationships has 22 years of teaching and administration (Smith-Meyer, 2014). I think that they have a strong and fairly large team of qualified individuals, some of whom have dealt with budgeting and purchasing in the education sector before (admin.). My only concern is if the business and web design staff as they are not mentioned, but based on their website I would say the web design is good. LittleBits is a product collection and open-source library of electronic technology “building blocks” for design prototyping, education and play. The product offers several different kits at varying price-points and expertise levels for rapid building an iteration, as well as individual blocks/modules for expansion. Coupled with a an online community for peer collaboration and support, users can download and share plans, project ideas and suggestions for littleBits future module developments. The original value of the venture appears to be an innovative combination of: electronics accessibility (empowers people); the rapidly iterative self-replicating/free development nature of open-source (empowers the community as well as continuing product design); and, the different types of affinity spaces and makerspaces it fosters. Ayah is a Canadian born innovator who holds a BSC in Computer Engineering and Sociology from American University of Beirut (Lebanon) and completed her Master’s in Computing Culture at the MIT Media Lab (Massachusetts) in 2006. 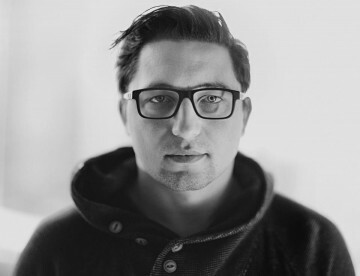 An artist, engineer and interaction designer whose background merges technology and interaction, Ayah has a unique understanding of contemporary design and technology cultures. She became a Senior fellow at the Eyebeam Art+Technology Center in New York and later taught classes in technology and interaction at NYU and Parson’s The New School for Design. It appears she has been actively making connections and networking between the technologies and design communities, she later founded Beirut’s first nonprofit lab for experimental arts, architecture and technology and organized the first “Opening Hardware” workshop at Eyebeam in 2010, giving rise to the the CERN Open Hardware License. Ayah conceived of and founded littleBits in 2011, and has been championing its growth ever since: lecturing, teaching, spurning new open-technology initiatives, and also appearing at TED conferences. 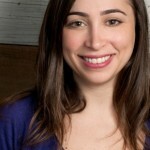 She was named a Creative Commons Fellow in 2010, a TED2012 fellow, and also a senior TED2013 Fellow. LittleBits was awarded “Educator’s Choice Award 2013” by MakerFaire SF, and has been inducted into MoMA’s permanent collection. She appears to have found an interesting hybrid approach to both remix and reinvent the closed/expert expert arena of electronics to give rise to a new emergence of products to put the complicated nature of electronics in the hands of everyday people. The open-source nature of the development adds a social cause/imperative and interestingly also aids to speed continual product/bit development. Ayah appears highly motivated, and a strong entrepreneurial role model. The size and varying roles of her team (which is quite large) indicate that she has surrounded herself with relevant expertise. The team however consists primarily of designers, engineers, developers, marketing and program directors and could perhaps benefit by adding or integrating additional market leadership figures or partnerships? As a MET student with a background in design, this helps me to understand that a great “disruptive” venture must be successful in many different ways along the path to success. Original value or innovation on it’s own may not be enough. For example, value in regards to ventures that have social aspects must also be positioned strategically at the crux of supporting social and cultural movements, otherwise they may fail due to a lack of timing and social response. There also needs to be the right kind of expertise in place all the way along the path, or a venture can experience a “failure-to-launch” or can go awry at any juncture.